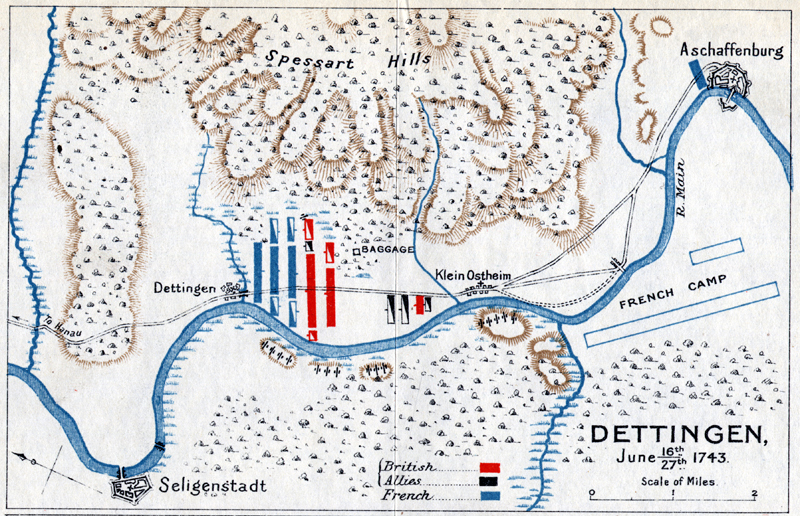 The ‘mousetrap’: the Battle of Dettingen, 27 June 1743. George II contrived to get the Allied army trapped between the river and a range of hills, with a French army across its line of retreat and another closing in behind. Only the belated rediscovery by the British redcoats of the Malburian tradition of movement, firepower and aggression saved the day in what became a tough soldier’s battle. Below, this plan shows the strategy taken, highlighting the British forces in red, Allies in black, and the French forces in blue. 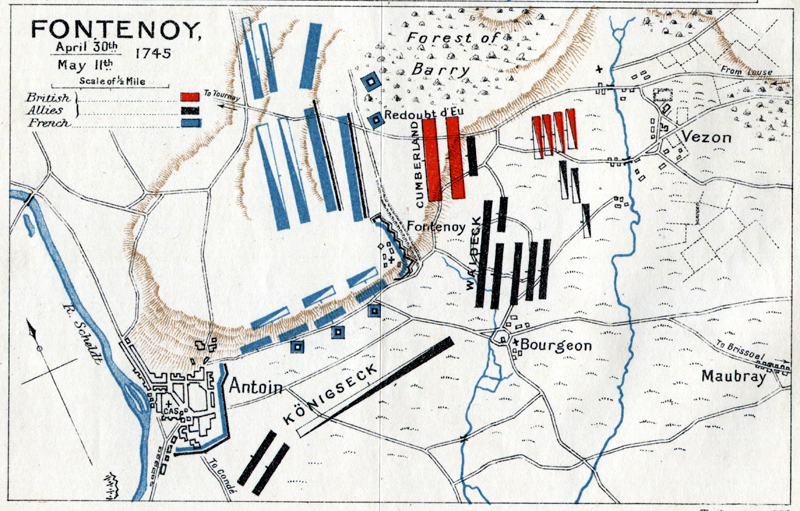 Below is the Plan of the Battle of Fontenoy, 11 May 1745. Despite everything, the British Army that deployed for the battle of Fontenoy in Belgium on 11 May 1745 was to fight with an astonishing mix of precision and fury. Taken from our new series A History of the British Army in 25 Battles. To read the full article, see Issue 13 of Military Times.